The cricket field at the “Recreation Ground”, Kobe, c. 1930. From the wiki: “The foreign settlement at Kobe quickly became home to many British residents, including many lovers of their country’s national sport. 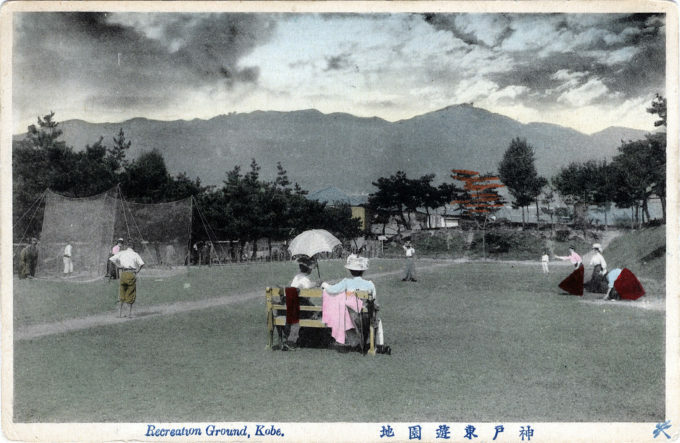 The Hyōgo Cricket Club was founded on January 19, 1870, around the main members of a team of foreign residents that had played a game on October 16 of the previous year against a British army team.